AMAZING EPISODE! I hope Moffat will find a way to have River come back somehow. Made my Christmas so amazing! We always knew that River was going to come back. She said so, spoilers, remember. Glad she is coming back. Now we need to find out about the Doctor’s daughter, Jenny. BBC Shop has the Complete David Tenant & Complete Matt Smith, if they ever get a Complete River Song, I’m so there! 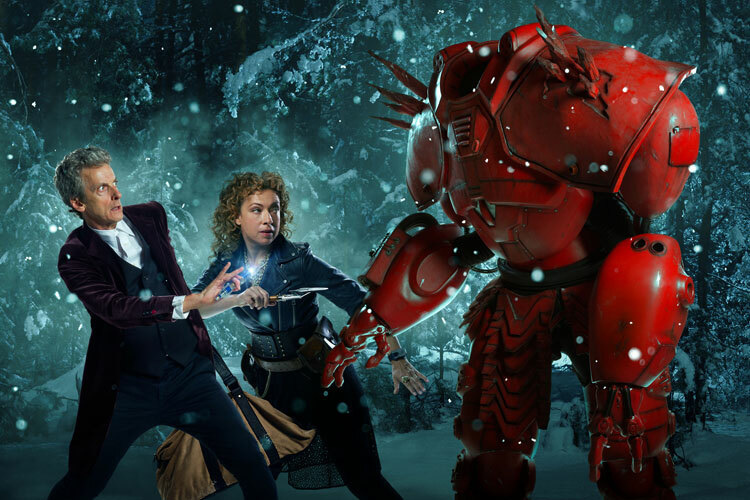 As much as I am going to LOVE this episode.It makes no sense.River and the Doctor have opposite time streams as they said so many times in the 11th Doctor era.River regenerated in let’s kill hitler.So did river lie.Was that the first time she saw him.But she knows him in the Christmas special.I do not understand did she escape from the library?